Spring AOP/AspectJ combination offers many choices, whether they are AOP system, syntax or weaving related options, and a clear understanding of all those choices is important to apply them pragmatically when using Aspects in enterprise applications. Ramnivas Laddad said just one kind of AOP won't fit all applications and choosing the right combination will help developers be successful with AOP. Today the jMaki project released version 1.0. jMaki is a client/server framework for creating Web 2.0 applications. 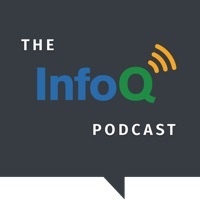 InfoQ recently had the pleasure of interviewing jMaki's lead developer Greg Murray to discuss the upcoming release. The AJDT teams recently released 4 new versions of AJDT providing numerous bug fixes, new features, and support AspectJ 1.5.3. This is the first time that the AJDT versions for Eclipse 3.0-3.3 have been released simultaneously.